The fifth Amsterdam International Feldenkrais Teacher Training (AIFTT V) is honored to be the first Feldenkrais training ever to become an Approved Training Program by the International Somatic Movement Education and Therapy Association (ISMETA). 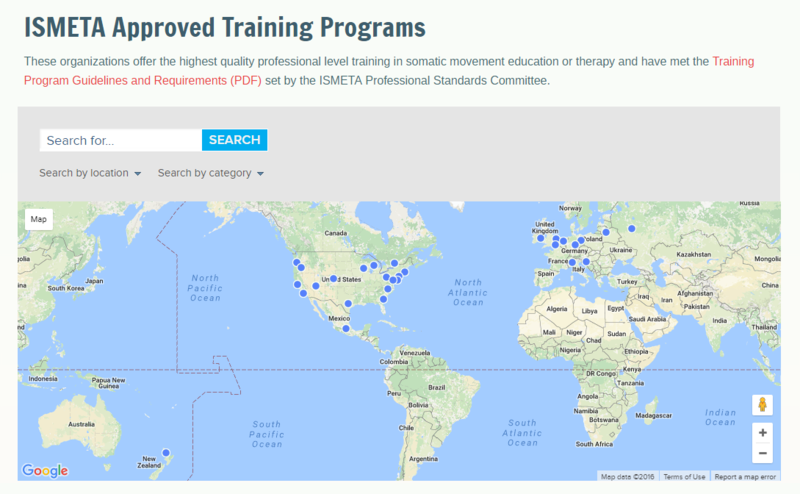 ISMETA is a not-for-profit trade organization that promotes the highest level of standards and professionalism in the field of somatic movement education and therapy through advocacy and maintaining a registry of highly qualified professional practitioners and Training Programs. Promoting and supporting research in the field and the dissemination of results in professional publications and meetings.